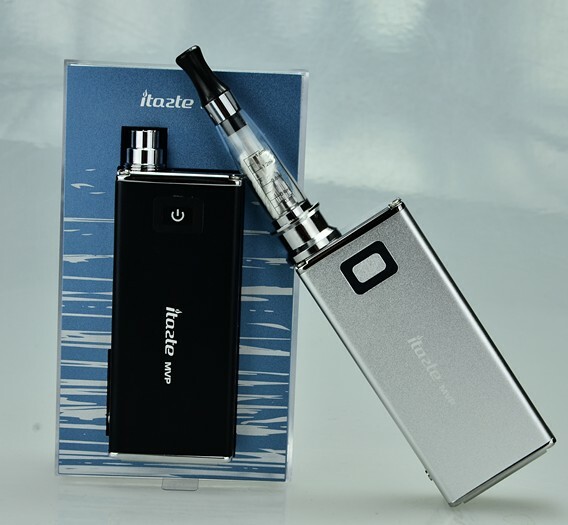 We are very excited to carry the Innokin itaste MVP. When you hold this device in your hands you’ll notice that it’s got a nice weight and rugged build. Literally this battery feels like it could take a beating and keep vaping. It’s 2600 mAh battery means that it never runs dry. Can you imagine a battery that could go for an entire week on a charge? Even with heavy vaping this device lasts for two full days. The best part is that when it runs dry you just plug in the USB charger and it keeps working as a pass-through. There is never a time when you can’t use this device, short of power outages or a nuclear holocaust. I basically like everything about this device, from how the battery flashes it’s LED to the cool chrome and scratch proof metal case. If I were ever to go hiking in the woods, I would take this thing. If I got lost I’d use it’s shiny chrome finish to flash signal search parties. I’d use it’s robust voltage output to charge other devices. And if for some reason I was lost to the forces of nature unable to be recovered I’m sure rescuers would find this MVP sitting beside me, pristine, and when they clicked the button, it would surely glow green. This entry was posted in Uncategorized and tagged electronic cigarete, itaste mvp, personal vaperizer. Bookmark the permalink.